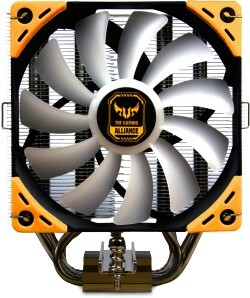 In cooperation with Asus, Scythe presents the TUF Gaming Alliance version of the Kotetsu Mark II CPU cooler. Design elements such as a top plate decorated with the TUF logo as well as a 120mm RGB LED Kaze Flex fan with matching yellow rubber decouplers connect the cooler with the remaining TUF Gaming Alliance components. 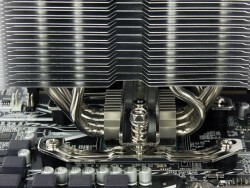 Four nickel-plated heatpipes complete the overall picture and convey an appealing and valuable look. 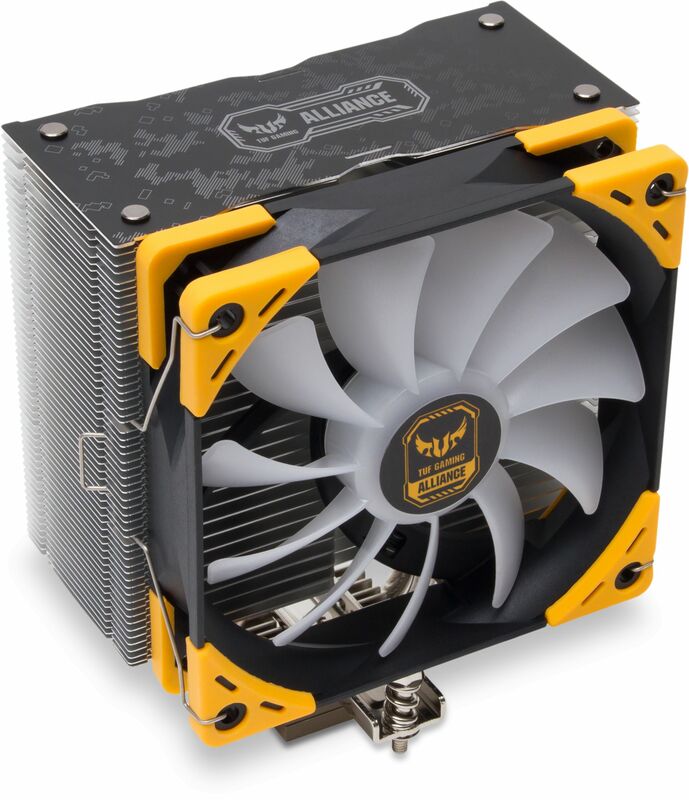 The heatsink features compact dimensions and is designed for maximum compatibility. With a height of only 154 mm makes it fit almost every standard PC-Case while the asymmetrical design of the heatsink ensures full memory and graphics card compatibility. 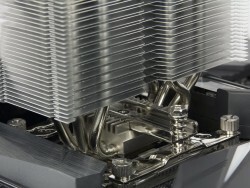 The optimised and user-friendly mounting system allows for installation on all current CPU sockets including Intel's LGA2066 and AMD's AM4 sockets. The Kotetsu Mark II is equipped with a PWM fan from the award-wining Kaze Flex series, operating in a range from 300 to 1200 RPM. The self-contained liquid bearing (Sealed Precision FDB) reduces friction and wear to a minimum, resulting in an average lifespan of 120,000 hours. Rubber pads mounted in the fan frame have a decoupling effect that dampen the transfer of vibrations. Aiming for maximum compatibility the heatsink is not centered above the baseplate, but slightly offset to the side and back. This asymmetrical design allows for unrestricted use of all memory slots. 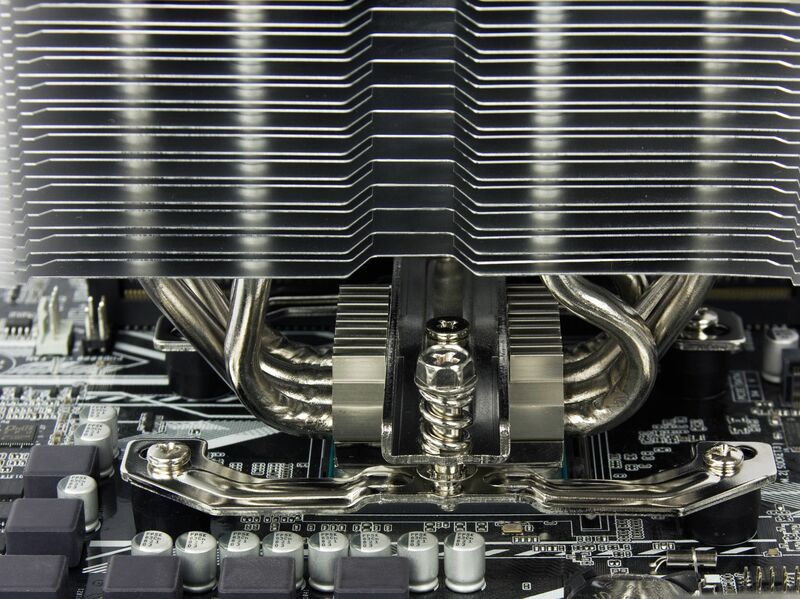 It also points the heatsink away from the graphics card, leaving enough space for even the bulkiest GPU coolers. With a compact height of only 154 mm the Kotetsu Mark II easily fits all standard PC Cases. Accessory Mounting parts for Intel and AMD sockets, RGB LED fan, fan clips, thermal paste, installation manual.